This is the twelfth in a series of 12 weeks of roundups for the handmade holidays! I hope you’ve found some great project inspiration for the holidays in the past few weeks. In this last roundup, I’m sharing 38+ free tutorials and patterns for handmade gift tags and gift wraps. Whether you’re gifting handmade or store-bought gifts, trying to be eco-friendly or thrifty, or just looking for creative gift wrap, you’re sure to find some great ideas in this roundup. You’ve made (or bought) your gift, but before it gets to the recipient, you’ll need to wrap it (and perhaps to tag it). I’ve found 38+ great ideas — all free — including printables, yarn crafts, fabric crafts, and more! These printables include gift tags with Christmas, winter holiday, and general themes; guessing game tags; care labels for your gifts made with yarn; and more! These projects include free crochet and knitting patterns, and yarn embellishments for gifts. Shown clockwise from top left corner. These tags, bags, and wraps include no-sew and sewing projects. Shown clockwise from top left corner. These projects include Cricut crafts, log slice crafts, paper crafts, upcycled projects, and more! Do you love all things “ugly sweater?” I’m showing you how to make your very own ugly sweater holiday cards using fabric and iron-on scraps and your Cricut Maker! This post contains affiliate links. I may receive compensation (at no added cost to you) if you make a purchase using these links. This post is sponsored by Cricut, but all opinions and thoughts are my own. As my regular readers know, I’ve been in love with my Cricut Maker since I received one back in May. …and the amazing score lines you can make with ease using the Scoring Wheel and Double Scoring Wheel (which you can learn more about in this post). The fabric cutting I love because it makes it fun to sew more since I don’t have to worry about “messing up” intricate cuts. And, the score lines I love because I can finally make cards that actually look good! Both of these features highlight the Adaptive Tool System that the Maker has, which tells you when to load different tools based on your materials and your project. My third most favoritest (is that a word?) feature is the lack of a Smart Dial. I just tell Design Space what I’m making, choose my materials from the drop down menu, and bam!, all the settings are optimized. I used to be one of those people that always sent out holiday cards (and on time) but the past few Decembers have been really busy and I haven’t quite made it happen. This year, I wanted to do something different and I was inspired to put together a project that I could make quickly on my Cricut Maker to get me back into the swing of the holiday spirit: ugly sweater cards. As a crocheter and knitter, I’ve always found the act of creating an ugly sweater to be totally pointless – I mean the amount of work required and then to make it ugly? Explain! But mini ugly sweaters – where you can make several cards in one day – I am totally down for. I hope you enjoy this project and I can’t wait to see your version! I gathered up some pieces of “what was I doing when I bought this” fabric along with fabric, paper, and iron-on scraps to put together my very own ugly sweater cards. You can customize your version by adding more embellishments using fabric paints, beads, and other findings. Weeder and scissors from Cricut Essential Tool Set. Your favorite adhesives (such as Scrapbook Adhesives E-Z Runner or Beacon Zip Dry) to seal envelopes and attach sweaters to cards. I searched the Ready-to-Make projects until I found a matching card and envelope set that I liked. Then, I customized the project by removing all of the card decorations so that I was just scoring and cutting blank cards and envelopes. I made several, using a mix of colors of cardstock for the cards and foil poster board and cardstock for envelopes. Be sure to change your materials in Design Space so that you will be using the correct blade and scoring wheel! Remove your cards and envelopes from the cutting mats. Fold your cards and envelopes along the score lines. Use your adhesive to seal the envelopes (and set aside to dry, if necessary). I searched for sweater in the image menu in Design Space and choose one that is included with a Cricut Access Standard subscription. Once I had the sweater image on my canvas, I resized it so that it would fit on my folded card. I added a star shape and resized it to fit on the sweater. (You could also search for another image, like a Christmas tree, instead.) Then I duplicated the resized sweater and star. I edited these images in 4 different colors (one for cardstock, one for fabric, and one for each type of iron-on) so that Design Space would know which to put on a mat together and I could select the appropriate tools before cutting. Choose the right material in Design Space for each mat and it will let you know which tool to use. Remember to use the Fabric Mat when cutting fabric! Also, even though you are using iron-on, it isn’t necessary to mirror your mats because the star shape is the same on front and back. After your pieces are cut, remove them gently from the mats. Use your weeder to peel off the excess iron-on around your stars or to “poke out” the little cuts in your sweaters. Press the stars or other iron-on embellishments onto your sweaters. Once your sweaters are embellished, use an appropriate adhesive to attach the sweaters to your cards. Wait for the adhesive to dry if necessary, and then you’re cards are ready! Write out your notes on the inside and you are ready to include your ugly sweater cards with a gift or send them off to a new home. Answers to Your Top 5 Cricut Maker Questions + How To Make a Vintage Bear Softie! Since I got my Cricut Maker this summer, I’ve gotten lots of questions from readers through email and on Facebook. I’m going to answer the top 5 questions about the Cricut Maker and show you how to make this adorable, vintage-style bear softie, too. This post contains affiliate links. I may receive compensation (at no added cost to you) if you make a purchase using these links. This post is sponsored by Cricut, but all opinions and thoughts are my own. Additional materials for this project were generously provided by Baby Lock, Madeira USA, and Fairfield. 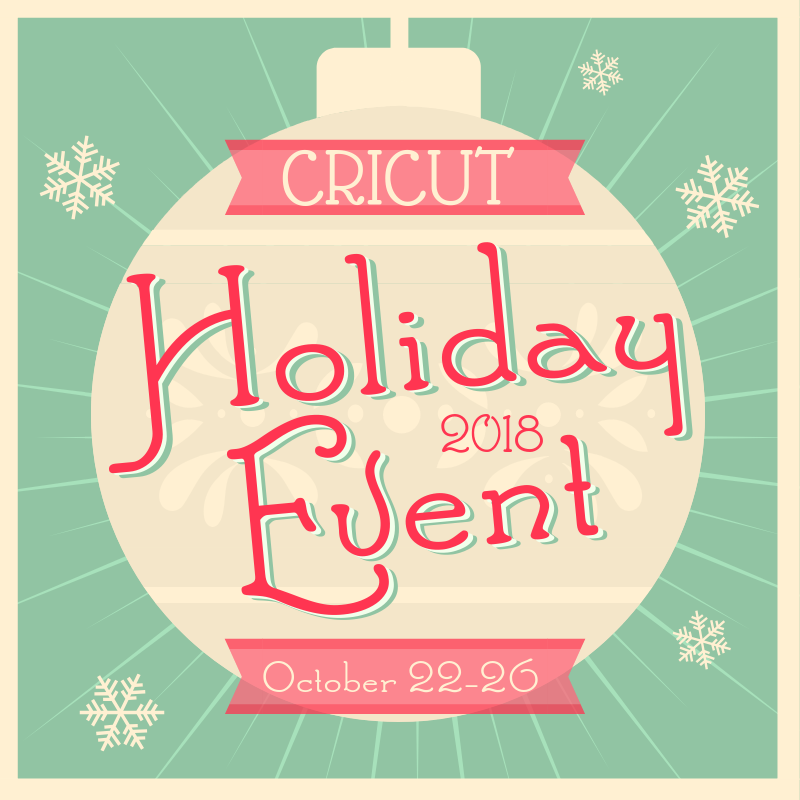 Earlier this year, I wrote a post answering the twelve most common questions about Cricut, so if you’re completely new to the world of electronic cutting machines, you may want to check that out. In today’s post, I’m going to share answers to the 5 questions I’ve heard the most about the Maker since I got it. If you already have a Maker, you can scroll right down to my Vintage Bear tutorial. Top 5 Questions About the Cricut Maker Answered! The questions I hear most often are will I use the Maker enough to justify the price?, what makes the Maker different from other Cricut machines?, what types of fabric can I cut with it without using a backer?, which materials can I cut?, and what kind of DIY projects can I make? Will I use the Maker enough to justify the price? Without knowing you and your life personally, I can’t say for sure, but I will say that if you actually do use it regularly, the answer is most likely yes. Here’s why. The Cricut Maker is easy to use, right out of the box. If you’ve never even used an electronic cutting machine before, there’s a project (with all the materials!) included to get you started. At the same time, you can link your machine with your computer or tablet and set up your Cricut Design Space account. So yes, if you get one in a Black Friday or Cyber Monday sale, you will have plenty of gifts ready in time for Christmas! Cricut Access has TONS of free Ready-to-Make projects included with a subscription. If you are not a graphic designer (and even if you are, but you’re pressed for time), I highly recommend a Cricut Access subscription. You can access projects right away with all the graphics and fonts AND instructions included so you will never be short on ideas for a last-minute gift, card, decoration, or gift wrap. If you like to design, you can upload your own images for free. If you’re more of a designer type, you can create your own graphics, use your own fonts, and then upload projects to write, score, and/or cut with just a little adjustment in Design Space. You can find out more about how easy it is to upload images to Design Space in my tutorial for a literary geek t-shirt. You can multi-task with the Maker. While my Cricut Maker is cutting my materials, writing out my address labels, or scoring my greeting cards, I can be putting finishing touches on another project or ironing fabric for my next project. You can make lots of different types of projects with it. I’ll get more into this one below, but basically if you add up all the gifts, cards, and gift boxes you can use it to make, you’ll probably break even on your costs within the year (or sooner, if you have a large handmade gift list). Finally, if price is a big concern for you, get it on sale! 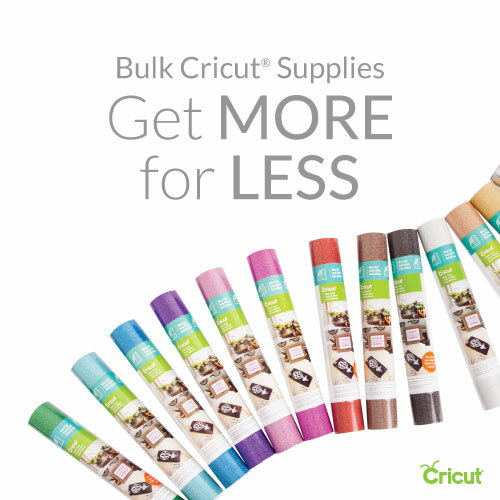 Cricut Makers are sold by Cricut, Michaels, Amazon, and other sites, so if you pay attention you can buy one at a great discount, or you can buy a bundle that includes cutting materials. What makes the Maker different from other Cricut machines? There are several features and tools that make the Cricut Maker different than the Cricut Explore series (or older Cricut electronic cutting machines). For me, there are two that I use regularly. You can cut fabric without a backer. Using the Rotary Blade and FabricGrip Cutting Mat (both included in the box with your Maker), you can cut fabric without a backer. That was the big game changer that made the Cricut Maker “special” for me… but then I learned about the Scoring Wheels. You can make the most incredible and precise score lines, even in heavier materials. If you buy the Scoring Wheel and Double Scoring Wheel, you can instantly get over your fear of paper crafting. Find out more in these three posts I wrote introducing the Scoring Wheels. The Maker doesn’t have a Smart Dial, so you never need to worry about being on the wrong material setting. You choose your materials in Design Space and then the machine adjusts automatically. The Maker has an Adaptive Tool System that tells you which tools to add and when. This is really helpful when you are using new materials and aren’t sure which blade to use. The Maker can use several additional blades and tools, including the Rotary Blade, Scoring Wheels, and Knife Blade for thicker materials. The Maker has a 2x speed setting. If you’re in a rush, you can crank things up a bit. The Explore Air 2 also has this feature. What types of fabric can I cut with the Maker without a backer? As I mentioned, the ability to cut fabric was really what I was looking most forward to in the Maker. You don’t need a stabilizer or other backer to cut fabric as long as you use your Rotary Blade and FabricGrip Cutting Mat (or Knife Blade, for leathers) and choose the right fabric material in Design Space. You can cut most fabrics with the Cricut Maker, including leather, bamboo, boucle, broadcloth, burlap, calico, canvas, cashmere, chiffon, corduroy, cotton, damask, denim, faux fur, felt, fleece, khaki, quilt batting, silk, spandex, suede, and tulle. You can find a full list here, or try another fabric with a thickness of less than 2.4 mm. Which materials can I cut? In addition to the 100+ materials that can be cut with a Cricut Explore, and the fabrics listed above, you can also cut thicker materials with the Maker than the Explore. You can find a full list of all the standard materials you can use with the Maker here. My favorite materials to cut are fabric (have I mentioned that already??!! ), iron-on, poster board, vinyl, and cardstock. What kind of DIY projects can I make? I’ve made a lot of great gifts with the Maker in the past few months, including t-shirts, cards, gift boxes, and more. The cutting of fabric without a backer is a real game changer for me personally. I’ll be sharing a tutorial for the Vintage Bear, a sewing project using the Maker, further down in this post. As with the Explore series of machines, you can write, cut, and print then cut. But, you can also score MUCH BETTER lines so if you aren’t a paper crafts pro, it means your cards will actually look good with the Maker and the Scoring Wheels. And, did I mention the fabric projects? Design Space now has lots of patterns, so you can choose from quilts, apparel, toys, and more, or you can upload your own sewing projects specs. I hope I’ve answered all of your Maker questions, but if you have more, don’t hesitate to ask by leaving a comment here, emailing me, or tagging me on social media. That was a lot of information, so I hope you’re still here for the project! I picked a pattern for a bear softie from Design Space that actually looked very contemporary (or should I say “modern”) and made it my own by giving it a vintage look. This is a low-sew project with some (extremely light) embroidery. I used my sewing machine, but it’s definitely something you can sew by hand. If you’re not big into sewing, you can make the eyes, nose, muzzle, and inner ears using iron-on. Basic sewing supplies (seam ripper, scissors, etc.). I searched in the Sewing drop down menu for Bear and choose this Simplicity pattern. You will need to purchase the pattern. Using your EasyPress 2 with EasyPress Mat, prepare your fabric by ironing out any wrinkles and folds. I also cut my fat quarter in half along the long edge. If you use iron-on (I did for the nose), be sure to use the StandardGrip Cutting Mat and change the materials in Design Space. You don’t really need to “mirror” before cutting because the iron-on pieces are symmetrical, but be sure to place the iron-on shiny side down on the mat. Choose your cutting materials in Design Space and it will let you know what to do next! I didn’t have a Washable Fabric Pen with me, so I used a standard Cricut Pen for the front piece, since I knew I would sew over the markings. For the rest of the pieces, I took the pen out because I didn’t want permanent marks. Once your project is cut, you can put away your Maker and move on to the sewing and assembly phase. I plan to gift this bear to a small child, so I embroidered on the eyes rather than using buttons or safety eyes. Thread the tapestry needle with about 18” (46 cm) of embroidery floss. Start on the back with a knot. I just did covered over the marked spot for the eyes by going back and forth, but a French knot would be cute. You can find a video tutorial for the French knot at the end of this post. Be sure to knot securely on the back before fastening off. Repeat for the other eye. I used iron-on for the nose, so I affixed that to the muzzle first, using Cricut’s recommended heat settings for the type of iron-on and fabric I used. Pin the rest of the facial features to the front of the bear. Attach the zig zag foot to your machine and adjust the zig zag stitch settings to a short length and a long width. (I used 0.5 length and 3.5 width.) Align the needle so that you work a zig zag stitch along the edges of the facial features (muzzle and inner ears) to create an overcast stitch edging. Go slowly because there are a lot of curves (which mean a lot of turns), removing pins as you go. Once you have the front finished, place the back of the bear on the front of the bear with the right sides facing. Start at the groin of the bear and sew around one leg, around the body, and end at the “foot” of the other leg. I used the 1/4″ quilting foot, but you could also use the zig zag foot (or hand sewing). Now you’re going to turn the bear inside out, being sure to push out the corners of the arms and feet and ears. Stuff the limbs and ears firmly first with your Nature-Fil Bamboo Fiber Fill. Then, fill up the rest of the body. Fold over the seam on the edge of the leg. You’ll need to sew this last part by hand. It helps to use a coordinating thread so it isn’t too noticeable. Doesn’t he look ready for a night out in the city? And, here’s the bear in my hand so you can get a sense of the size. Author Underground CrafterPosted on November 21, 2018 November 23, 2018 Categories HandmadeTags baby lock, baby lock jubilant, cricut, cricut access, cricut basics, cricut design space, cricut double scoring wheel, cricut easypress 2, cricut iron on, cricut maker, cricut rotary blade, cricut scoring wheel, cricut washable fabric pen, fairfield, fairfield nature-fil bamboo fiber fill, madeira, madeira cotona thread, sewing and quilting, sponsored postLeave a comment on Answers to Your Top 5 Cricut Maker Questions + How To Make a Vintage Bear Softie! This is the fourth in a series of 12 weeks of roundups for the handmade holidays! I’m sharing 35 free patterns and tutorials for hats, including 18 crochet patterns, 15 knitting patterns, a sewing tutorial, and an iron-on project. This roundup includes projects in a variety of sizes, so you’re sure to find inspiration for your next holiday gift. Hats make great gifts! Compared to other projects, they are reasonably small and can be completed quickly. For those living in colder climates, hats are very functional. For those living in warmer environments, hats can really complete an outfit. In this roundup, you’ll find 35 free handmade hat tutorials and patterns. And, if you still need more inspiration for your next gift, I’ve linked up dozens more patterns at the end of this post. 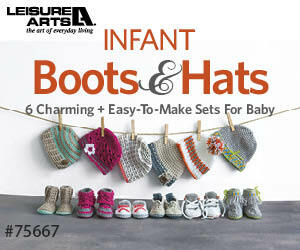 These include simple and intermediate patterns for babies, kids, men, and women. Hummingbird Hat by Underground Crafter: This textured, stretchy beanie pattern is available in 12 sizes from 2-lb. preemie through adult large and includes instructions for knitting flat or in the round. Heracles Hat by Handy Little Me: This men’s beanie is knit using 2 colors of a bulky weight yarn. Bird Tracks Beanie by Underground Crafter: This textured pom pom hat is available in 4 sizes from 2-lb. preemie through adult large and includes instructions for knitting flat or in the round. Alien Hat by Vanessa Mooncie: This hat makes a great gift for your favorite science fiction fan and is available in child and adult sizes. Wellsley Hat by Designs by Diligence: This is a matching companion pattern to the Wellsely Cowl. Cable-Rib Beanie by Lisa Craig: This textured beanie is knit with a self-striping yarn to make the colorwork easy. Basic Blue Striped Beanie by Yarnspirations via AllFreeKnitting: This adult-sized beanie uses a self-striping yarn to make the colorwork easy. Phaidra Hat by Handy Little Me: This beginner-friendly hat is knit in a super bulky yarn. Slouchy Hat by Rosemary Drysdale: This textured slouchy hat uses a much-loved seed stitch pattern. Purple Haze by Kristina Kittelson: This textured, cabled beanie is knit from the bottom up. Chic Cabled Beret by Yarnspirations via AllFreeKnitting: This adult-sized slouchy hat is finished with an I-cord. Vintage Hat by Faina Goberstein and Dawn Leeseman via AllFreeKnitting: This 1920s-inspired, feminine hat has a wrapping tie to adjust the fit. Butterfly Hat by Little Red Window: The 12-month size of this adorable ribboned hat is available as a free pattern. Varsity Stripes Scarf and Hat by Yarnspirations via AllFreeKnitting: This striped, unisex set includes a scarf and a hat pattern in 2 adult sizes. Trendy Bun Hat by Laura Bain via AllFreeKnitting: This simple messy bun hat is a beginner-friendly pattern. These crochet patterns include unisex and feminine designs in newsie, beanie, and slouchy styles. Slouchy Beanie by Olena Huffmire Designs: This striped, slouchy beanie includes a video tutorial and written pattern instructions. Tons of Texture Slouch Beanie by Winding Road Crochet: This textured beanie pattern is available in 3 sizes from baby through adult. Street Smart Beanie by Frauke Kiedaisch: This feminine, striped beanie pattern uses international stitch symbols. Christmas Gift Beanie by Nicki’s Homemade Crafts: This teen/adult sized hat is great for wearing to your next holiday party. Autumn Amore Beanie by Moogly: This 3-color beanie is available in 6 sizes from 0-3 months through adult large and includes a messy bun variation. It’s one of 4 patterns in the Autumn Amore Crochet Along. Woodland Fox Hat by Crochet for You: This toddler-sized hat is the second in a series of 5 woodland-inspired animal hat patterns. Duo-Tone Beanie by Stitch11: This adult-sized beanie can be made with or without a pom pom. It’s Football Season Beanie by Eye Love Knots: This makes a great gift for your favorite football fan and is available in 6 sizes from newborn through adult large. Preston Hat by J Crochet: This unisex slouchy hat fits most adults and teens. A Night in Paris Cabbie Cap by Bella Tu Boheme: This slouchy newsie hat fits most teens and adults. Charlie Hat by Underground Crafter: This textured, slouchy beanie is available in 4 sizes from newborn through teen/adult. Flirty Flowers Hat by Frauke Kiedaisch: This feminine, open work hat pattern uses international stitch symbols. Fall Glam Lace Hat by B.Hooked Crochet: This lacy hat is perfect gift for a teen or adult living in a warmer environment. Woodland Bear Hat by Crochet for You: This toddler-sized hat is the first in a series of woodland-inspired animal hat patterns. Anabelle Beanie by A Crocheted Simplicity: This beanie pattern, adorned with a bow, is available in 4 sizes from toddler through adult medium/large. Arruga Stitch Hat by Underground Crafter: This unisex beanie is available in 3 sizes from newborn through adult. Toasted Hazelnut Brimmed Beanie by Cute As A Button Crochet: This beanie has a rolled up brim and includes a photo tutorial for the special stitch. Christmas Hat by KMT Creations: This striped hat is available in 3 sizes from toddler through adult. These hats were too fun not to include! Shown from left to right. Double Top Knot Baby Hat by Sweet Red Poppy: This sewing pattern is available in 4 sizes from newborn through 12 months, and includes photo and video tutorials, along with tips for working with knit fabrics. Unicorn Iron-On Baseball Hat by Doodlecraft: This Cricut iron-on project includes a link to the cut file that you can use with a plain baseball hat. Need more hat inspiration? Check out these roundups!